Way, way back in the late nineties a little documentary emerged that raised a bit of a kerfuffle among Trek lovers. That movie, Trekkies, offered a candid Denise Crosby-hosted look at fandom some found a mite condescending. 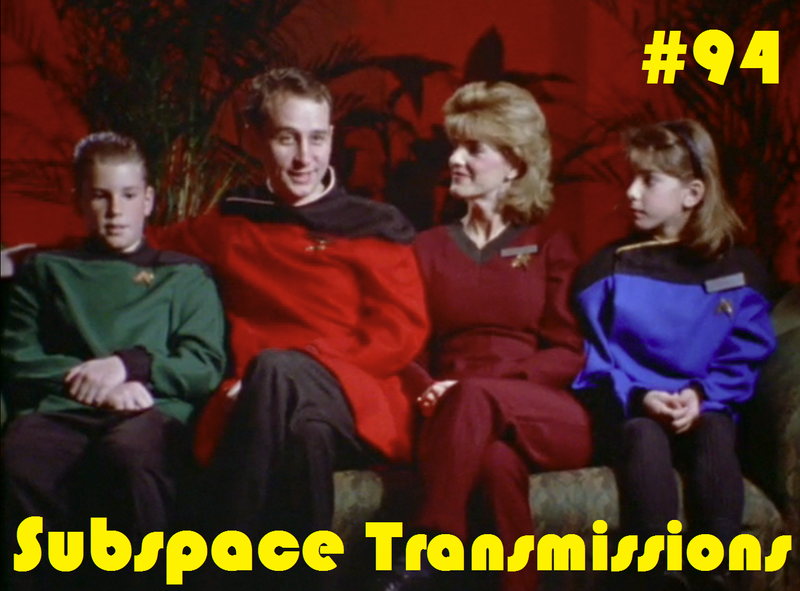 This week hosts Cam Smith and Tyler Orton reexamine the unlikely hit, as well as its less celebrated 2004 sequel Trekkies 2, and debate how accurately the slice of life portraits presented in either effort represent the modern day convention and enthusiast community. In addition, the duo also discuss their own Star Trek subculture experiences, as well as chronicle one host's tour of professional duty in Canadian nerd hot spot Vulcan, Alberta. Wanna appear on the show? Shoot us a 30 to 60-second audio clip telling us your thoughts on THE TREKKIES FILMS AND TREK FAN CULTURE and you could take the spotlight in an upcoming program! You can also send any other questions, topic ideas or feedback to subspacetransmissionspod@gmail.com! Join us next week for the Best Worst STAR TREK Episodes of all time!